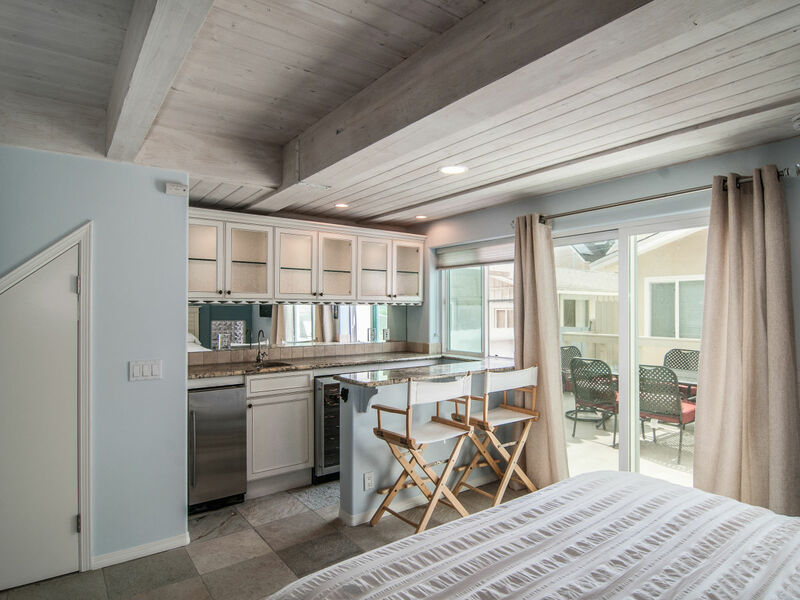 You will fall in love with 'Shared Dreams', a stunning, newly built standalone beach house just 2 homes off the sand, ocean, and energetic boardwalk of prime Mission Beach. This is ideal as you escape the hectic boardwalk, but yet close enough where you can observe the beachside happenings in a tranquil setting, or jump in on the action yourself if desired. 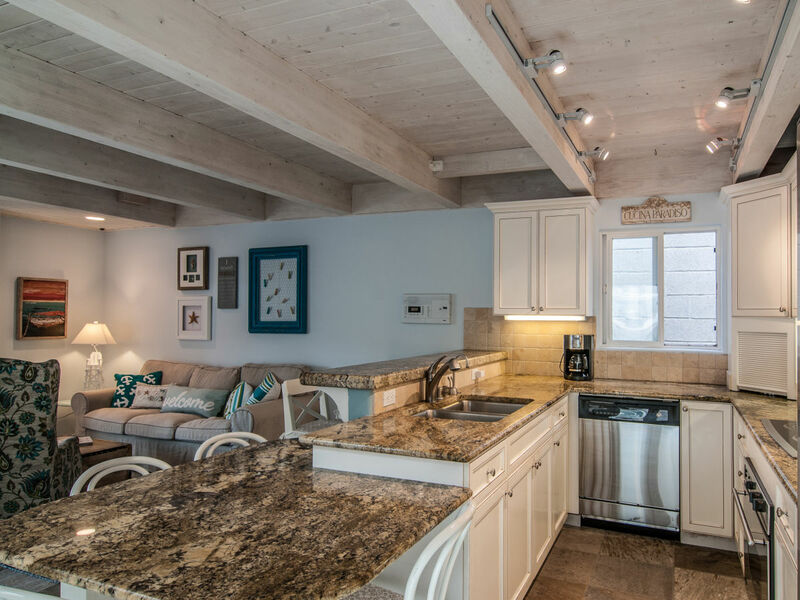 You are literally 30 steps from the oceanfront and a 3 minute walk to the bay front. 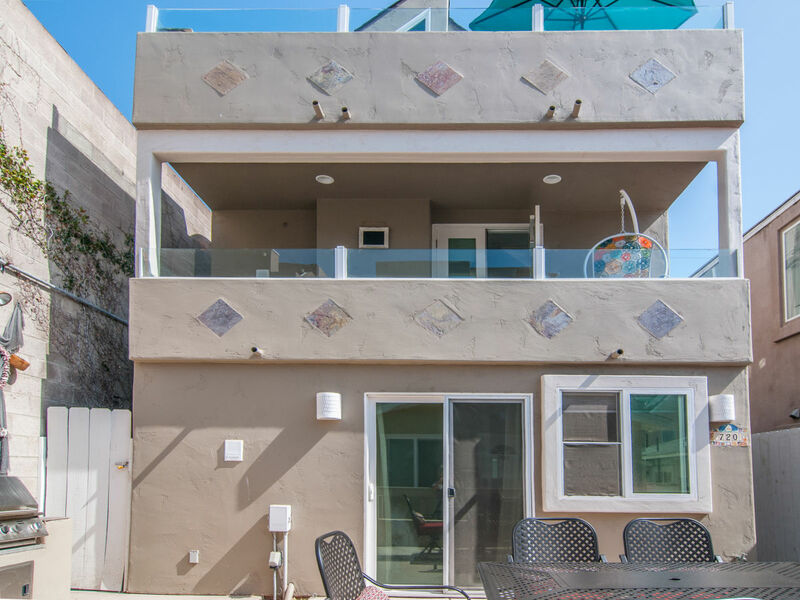 Fantastic partial ocean views from the patio and balconies, as well as from the master bedroom where you can take in ocean views and the surf action while enjoying a soak in the lovely two person Jacuzzi tub. This house has been completely designer decorated, repainted, and furnished with shabby chic beach furniture. 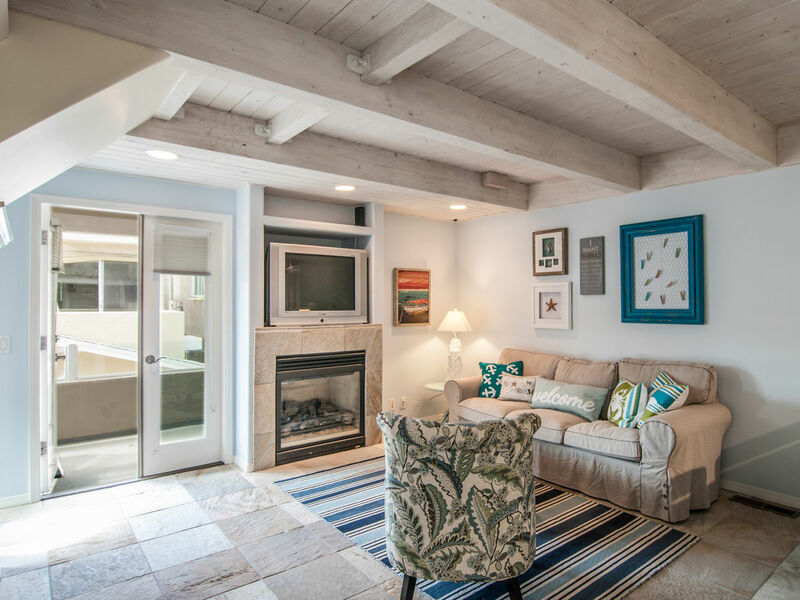 Coastal charm permeates from every room. 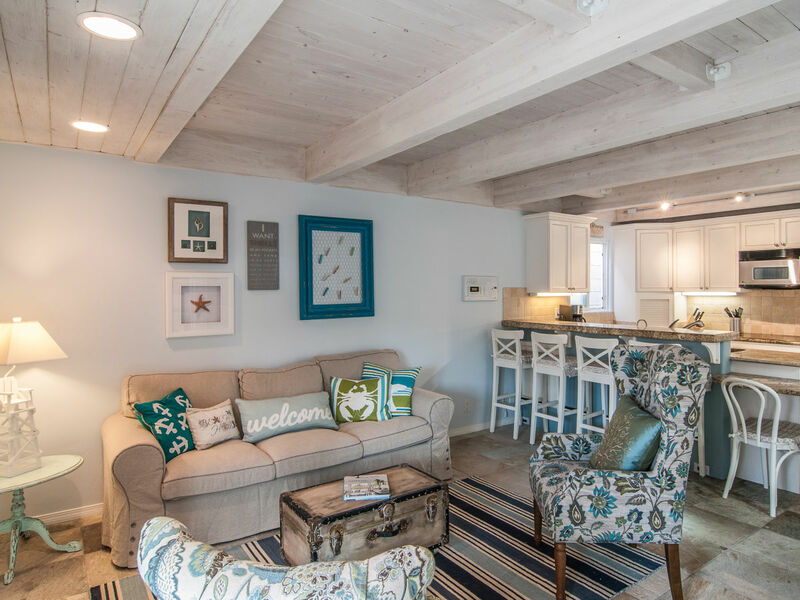 This is not your typical vacation rental - it’s the result of the owners fulfilling a lifelong dream to own a darling beach house, so every room and corner is decorated with love and care. The results are truly stunning. 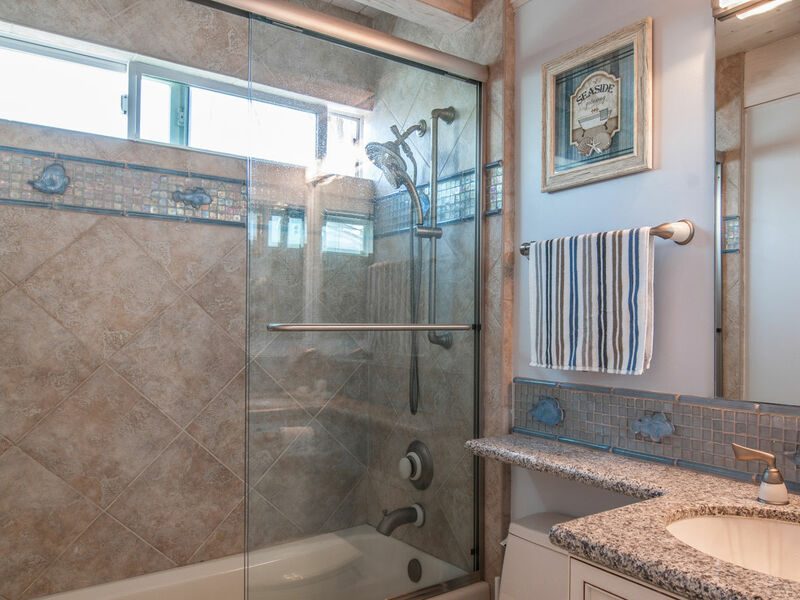 Be one of the lucky people to enjoy this beautiful, sophisticated home. 3 levels with 3 bedrooms and 3 baths. 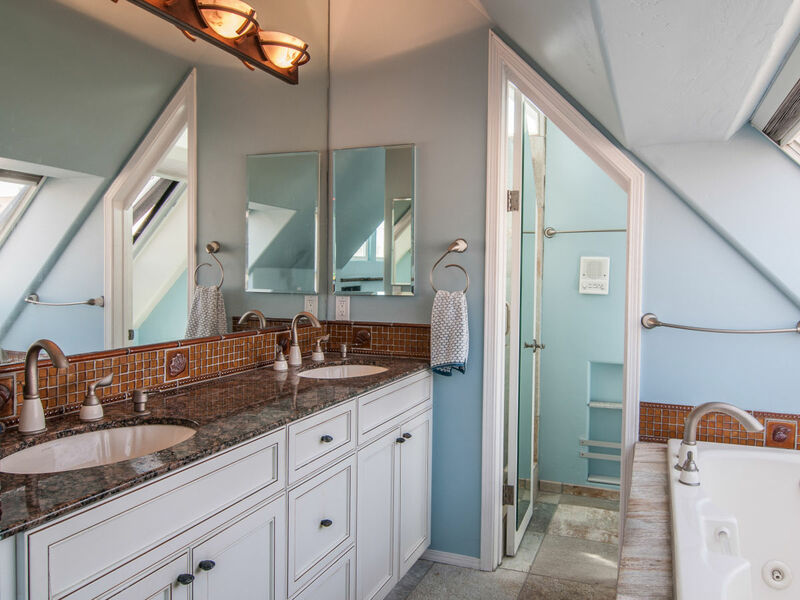 There is a bedroom and bath on every floor, making it very convenient for three couples, a small group of mature friends or families to share the house. You will open a little gate and walk into a beautiful patio with built-in BBQ and furnished with a brand new patio set that seats 6. Grill some seafood, pour some wine, and enjoy the ocean views and salty air over dinner. This floor leads you to the main entrance of the house which opens to a foyer with direct access to the 2 car garage. It also leads you to a fantastic en-suite bedroom with a queen bed, and functions as a separate studio unit as it comes with its own little bar/kitchenette with 2 bar fridges. Sliding doors lead directly to the patio. This room’s setup is perfect for a couple wanting some space for themselves when traveling with a larger group. 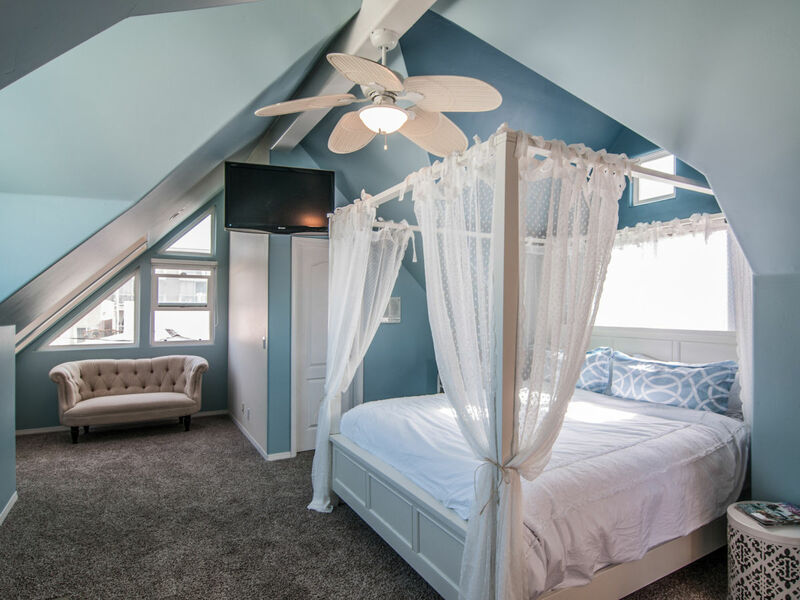 This little bedroom retreat oozes coastal charm. The main living space is on the second floor. 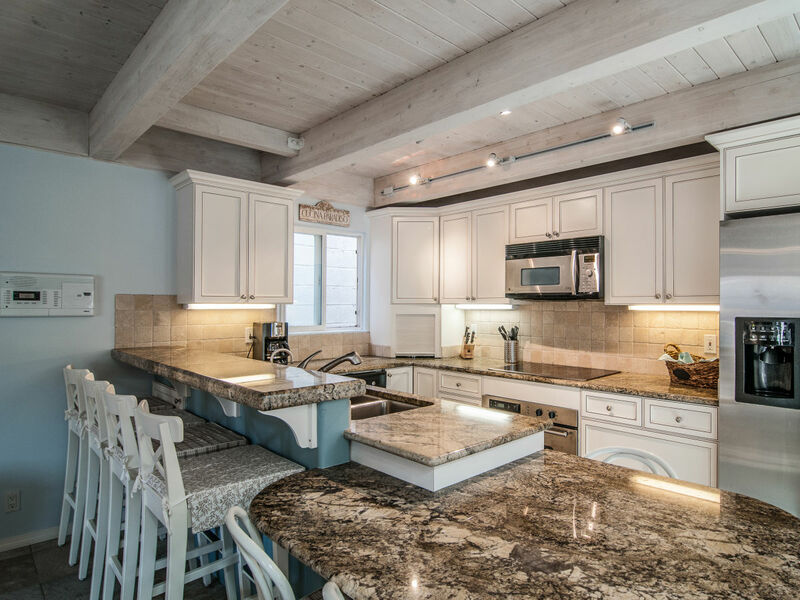 You will be enchanted with the warmth and coastal feel of this floor which houses the living room, kitchen and dining area. This floor also has a balcony, where you can hang out with a good book or share some cocktails. 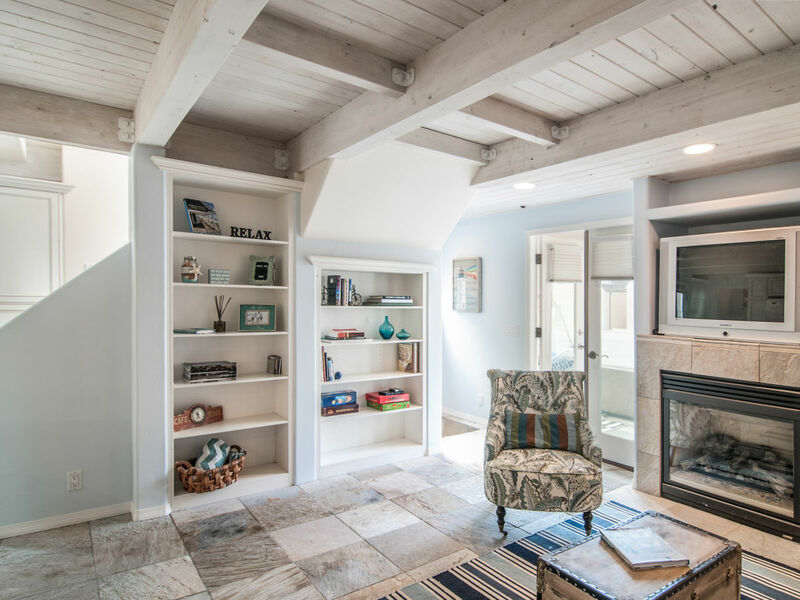 It’s what we call coastal whimsy. The 2nd bedroom is on this floor. 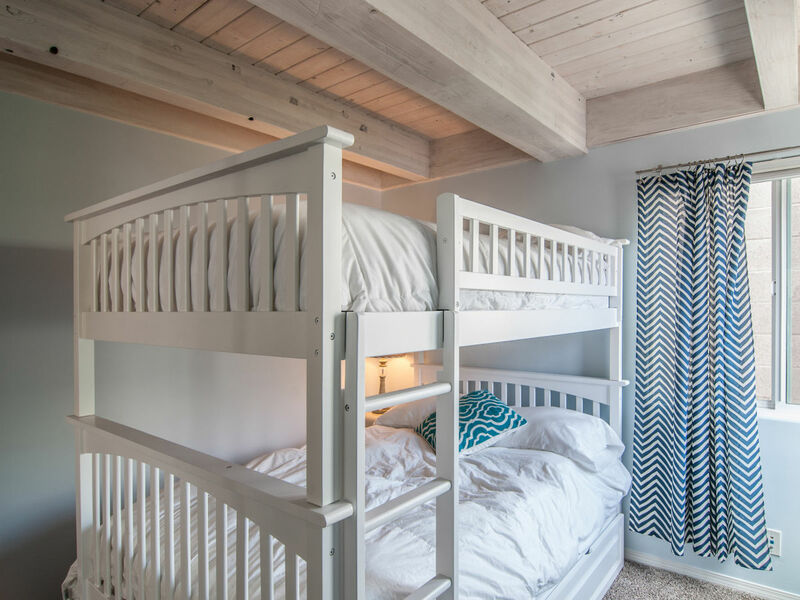 It has its own bathroom (charming and nautical themed as well) and features a double bunk bed with a pull out single trundle bed (in case you plan to max out the occupancy with 9 people). 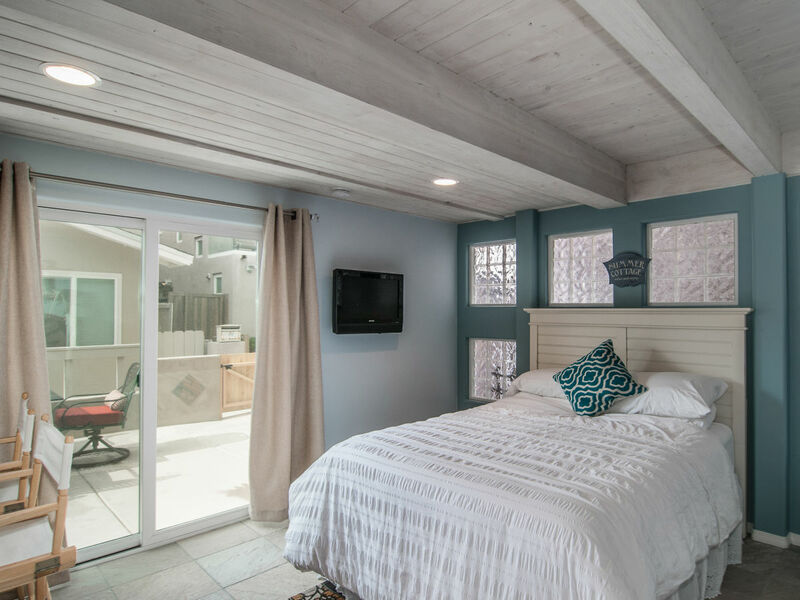 This room can sleep up to 5 people, but will be most comfortable when accommodating 2 adults or 3-4 kids/teenagers. The top floor houses the fabulous and spacious master bedroom. You need to see it to believe it. It’s dreamy, it’s romantic, it’s everything you wish for to fulfill those romantic beach fantasies. 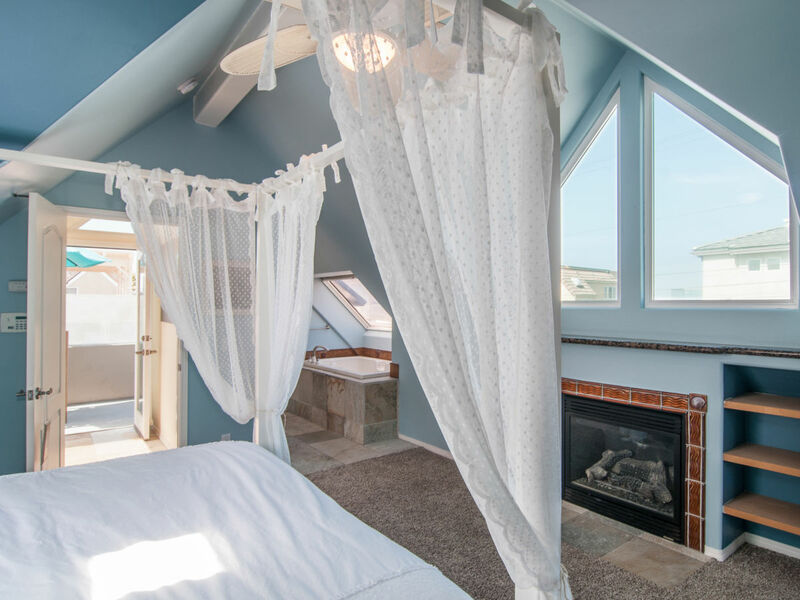 Enjoy ocean views from the bathroom (and even from the shower) and also from the dreamy king canopy bed with lovely white drapes. Multiple large view windows connect very well to the outdoors. The top floor deck with its own entrance (easy for everyone in your party to access) is also on this floor. Spectacular ocean and boardwalk views. 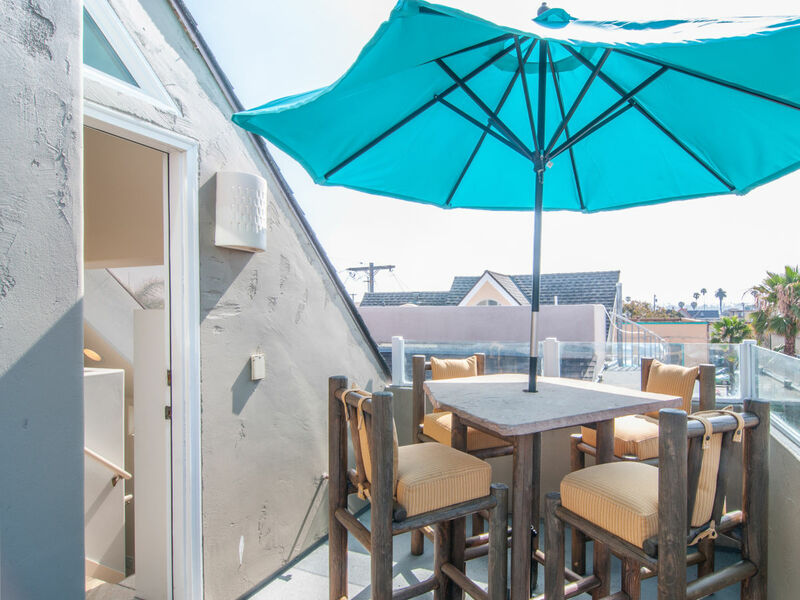 Fully furnished with bar stools facing the ocean as well as an outdoor dining set and umbrella. It’s the perfect spot to wind down after a day at the beach or bay. Enjoy the most amazing sunsets everyday while you’re here. Watch the fireworks from Seaworld during the summer. During your stay, you’ll also likely see dolphins while enjoying a glass of wine on this amazing outdoor deck. Note: There is no ice maker. 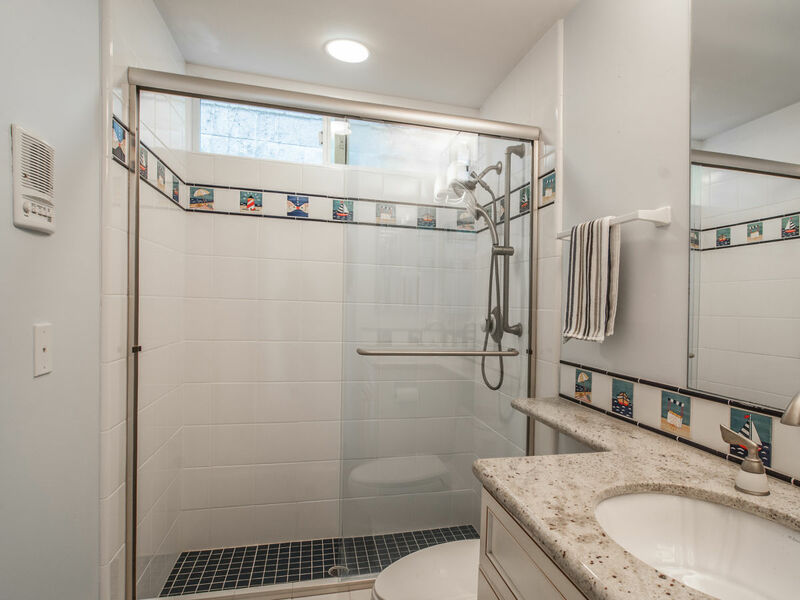 The house offers everything you might possibly need, including supplies such as laundry, hand, dishwasher and dish soap, toilet paper, paper rolls and of course all fresh and spotless clean linens and bath towels. Enjoy the luxury of TVs and AC in every bedroom, WiFi, central heating, hairdryer in each bathroom, iron, ironing board, and alarm clocks. To make your stay even more enjoyable, we have provided lots of kid’s equipment such as a high chair, pack n play, and a changing pad. 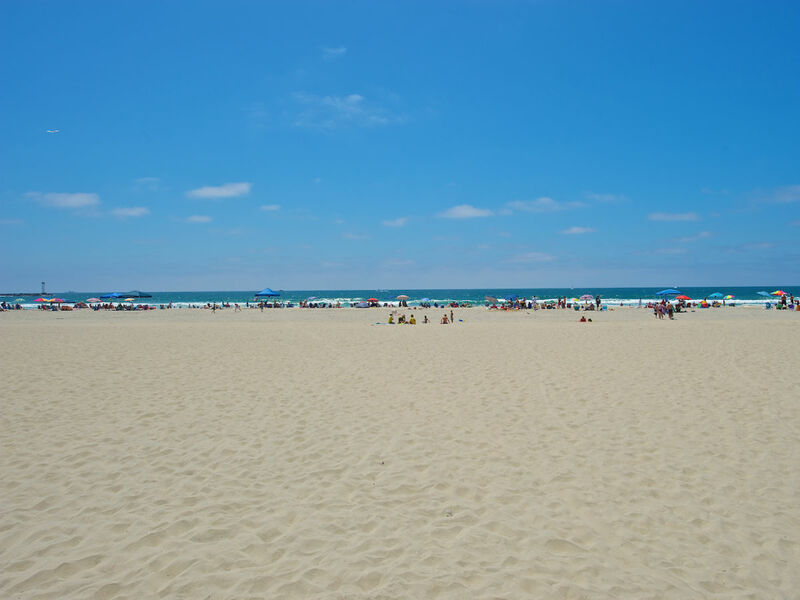 For beach fun you will find nice beach towels, beach chairs with umbrella, boogie boards and plenty of toys. If you choose to stay in one day, there are books, magazines, and board games for the group. 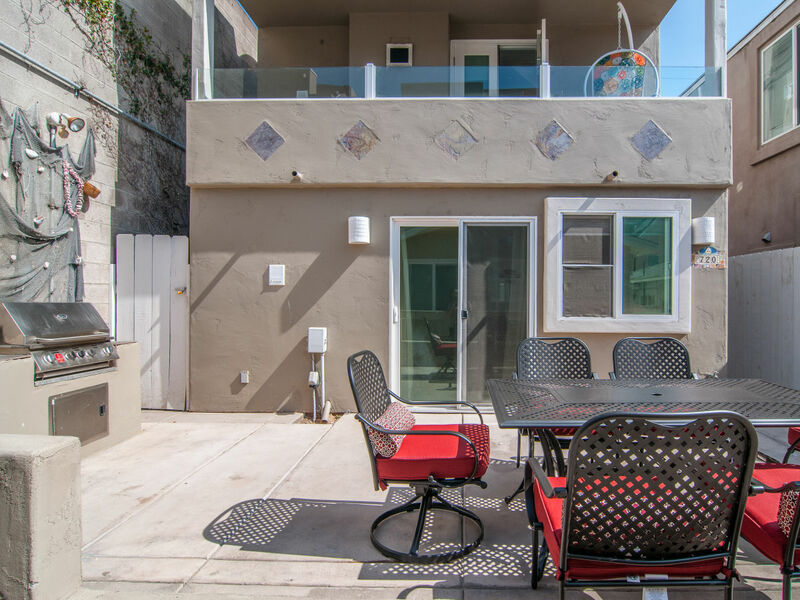 The beach house is perfectly located in mid Mission Beach. 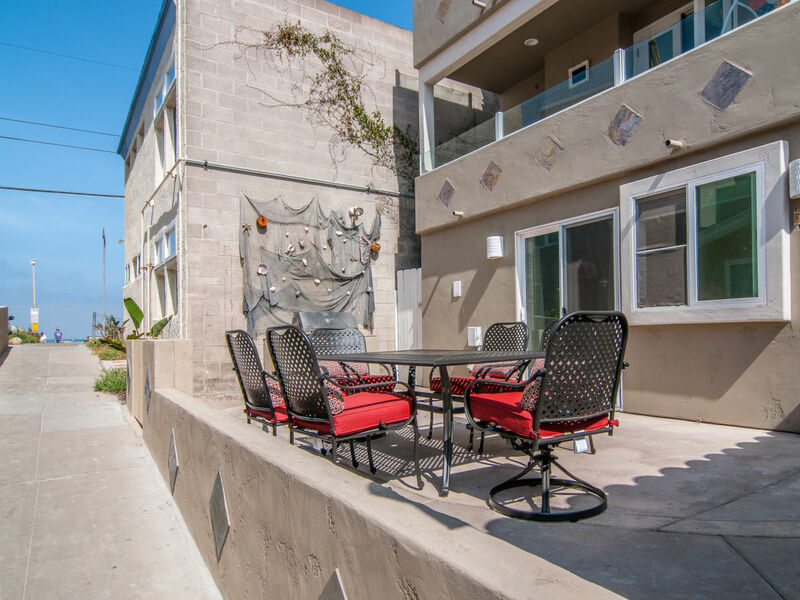 It is close to some of the best restaurants and cafes (The Mission Cafe, The Swell, Olive Cafe, Guava Beach Bar and Grill are all 1-2 short blocks away). There is a surf school just down the street (very convenient). 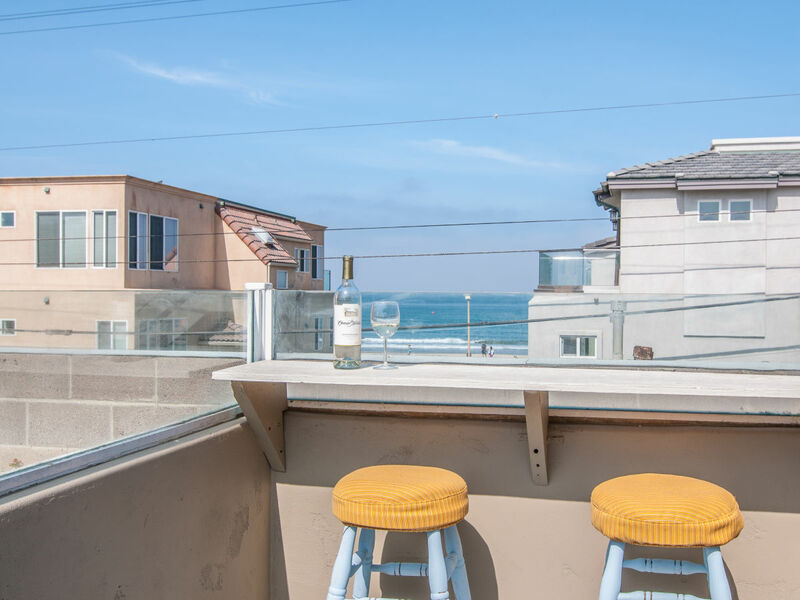 Cheap Rentals (best place in Mission beach to rent bikes, surf boards, skate boards, etc.) is a 3 minutes walk away. Belmont Park, Wavehouse, and the pier are all just a stroll away. And of course, you also have SeaWorld, LegoWorld and the famous San Diego Zoo all within close proximity.